Lewis is the Mass Care Lead for Calaveras, Tuolumne, and Alpine Counties. He leads and responds to disaster calls for the Disaster Action Team too. These calls are frequently home fires. It could be a family that had a fire and has no place to go. This was clearly evident during the tragic fire that ravaged his community. Known at the “Butte Fire”, more than 470 homes were lost. In the early days of the fire, many volunteers remarked how Lewis was the order in the middle of chaos. “Some of our local Red Cross Volunteers lost their own homes in this fire. Their loss and the losses of this close community have really touched our hearts in a very personal way. It is OUR loss,” explained Sue Yoder, who flew in from Iowa to help in the relief and recovery effort. 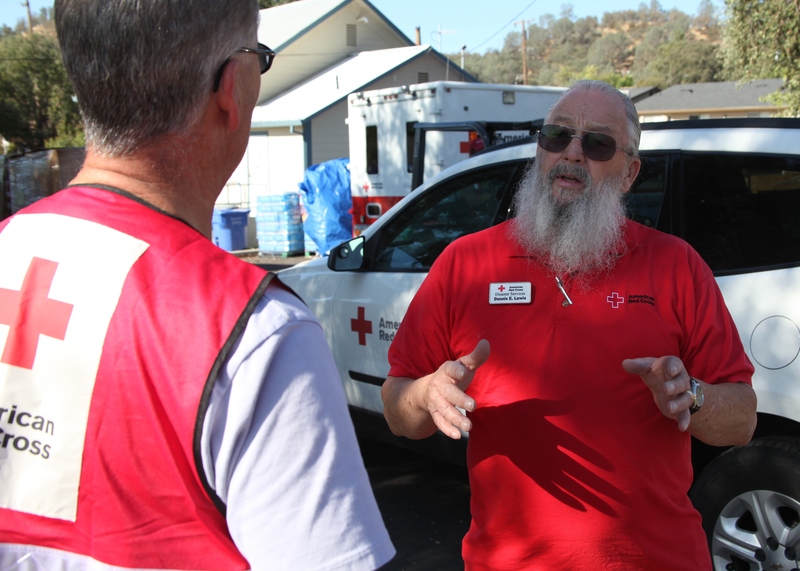 Lewis and the Red Cross encourage you to consider taking on that active role by becoming a Red Cross Volunteer. Training is free, and you will be helping your own community prevent and prepare for the unexpected. Visit redcross.org/goldcountry for more information!